We are officially the host of House Macros, Coach Alyx Gardner’s unique nutritional system. Since December WCCF had offered personalized nutrition coaching. Already a seasoned nutrition coach, Alyx began to fine tune her effective methods that help her clients recover faster, lean out and have more energy. Another advantage of doing our in-house nutrition program is that your coach gets to see your performance, energy levels, and recovery during your workouts! All of these things tell us a lot about your nutrition. We can tell how your nutrition program is going with your workout before you see any aesthetic changes. 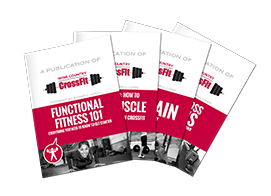 Coach Alyx’s home as a CrossFit coach, and as a nutrition coach, is WCCF. We are so lucky to have her in our midst! If you are in the Napa Valley and want to improve your nutrition, this is the place to do it. You can sign up here. If you are in a remote location and can’t make it in for the weekly face-to-face meetings with Alyx but still want to benefit from her system, then visit her website and sign up for remote coaching with House Macros. In short, WCCF is pumped to be the official host of House Macros in Napa!